This is No. 1 in a series of colorful birds throughout Europe and US – always in combination with a piece of nature and an elaborate frame. 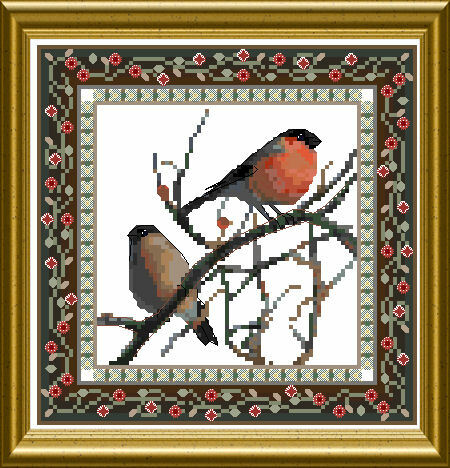 Here you stitch a beautifully colored Bullfinch together with his modelst little wife. 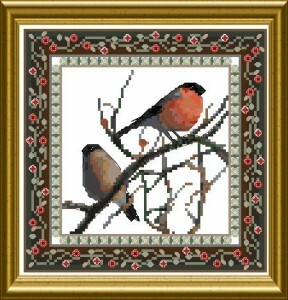 The frame incorporates special Stitches, beads, and lots of various materials, silk perles, braids etc. 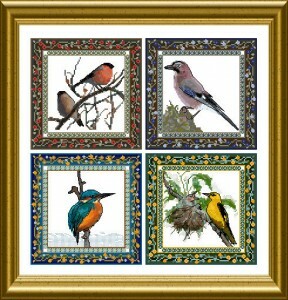 The bird itself is carefully shaded and uses mostly DMC cottons.